Following Sunday afternoon's 2-0 victory over Sporting Kansas City in the 2011 MLS Cup Eastern Conference Final, members of the Houston Dynamo shared their thoughts on the win and the upcoming MLS Cup Final with Simon Borg of MLSSoccer.com. 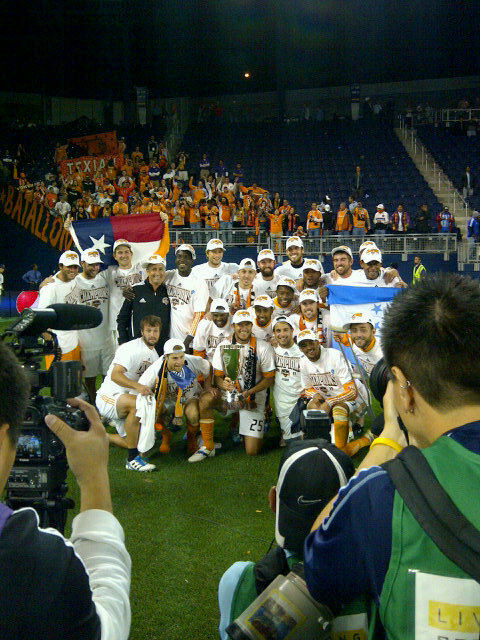 The Houston Dynamo will be facing the Los Angeles Galaxy in the 2011 MLS Cup Final on Sunday November 20th at the Home Depot Center in Carson, California. The match, which starts at 8:00 pm central time, will be broadcast on ESPN and Galavision.